During Denkmal 2016, the largest European Trade Fair in the field of heritage, Sneška Quaedvlieg-Mihailović, Secretary General of the leading European heritage organisation Europa Nostra, together with Bert Ludwig, Director of European Heritage Volunteers will officially launch “Heritage Times”, the online platform of “Social Media Volunteers for Heritage programme”, newly developed by Europa Nostra in partnership with the European Heritage Volunteers, with the support of the EU Creative Europe programme. Photo: Social Media Volunteers for Heritage group. heritagetimes.eu will offer an easily accessible communication channel for a European network of (younger) volunteers who work digitally to further the cause of the Europe’s heritage. These volunteers will share – remotely from their own location – stories, photos and videos on cultural heritage issues in their own country and follow and report on the content posted by their fellow social media volunteers across Europe. They will also help us spread widely messages of Europa Nostra, European Heritage Volunteers, and the wider heritage field which is represented in the European Heritage Alliance 3.3.. 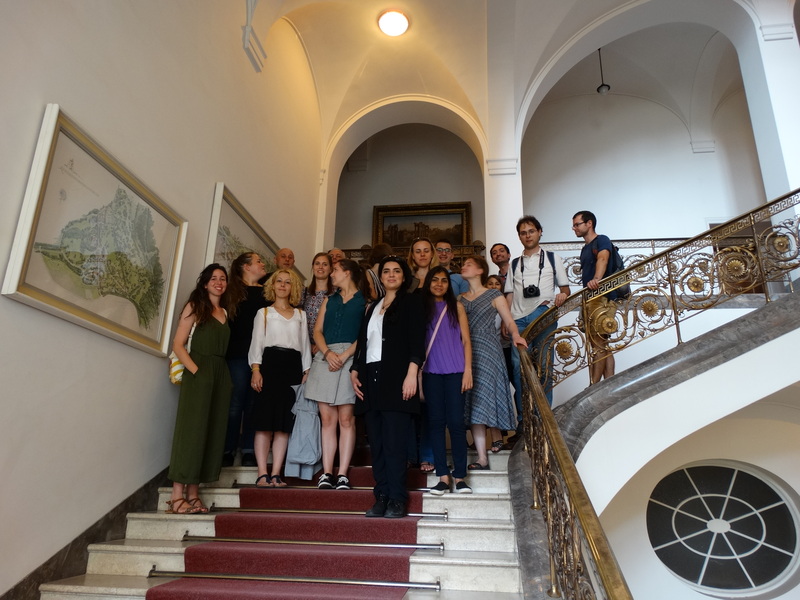 The first group of twelve selected volunteers from 12 different countries met for an initial training session in Weimar, Germany in August this year. The first stories to be published on the platform are the result of this inspiring 6-day seminar which featured heritage visits to the cities of Weimar and Apolda. A second training session is planned for May 2017, a next one for September. The platform heritagetimes.eu and its related social media outlets have the ambition to grow into a prime collection of stories related to heritage issues in Europe, especially with the European Year of Cultural Heritage 2018 just around the corner. The Social Media Volunteers for Heritage programme is in part supported by the Creative Europe programme of the European Union. If you also want to volunteer for our new programme, you can apply until March 2017 using our online form here. European Heritage Volunteers and Europa Nostra will select from the candidates the participants of the next training seminar.